This approximately 25 acres site with an existing former Fleetwood RV Manufacturing facility retrofitted to a vehicle auction and remarketing services hall. 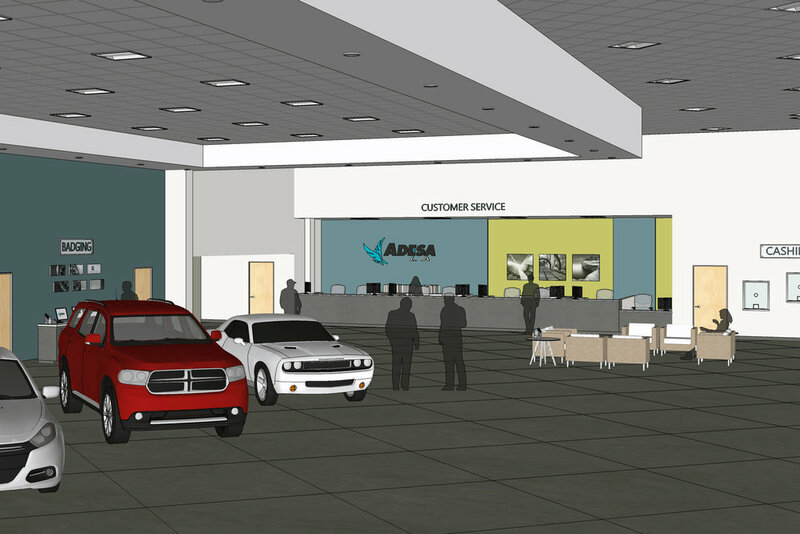 GAA delivered a design solution to accommodate automobile storage space, quality check lanes, car wash, body shop, office, customer services facility, and bidding area, totaling a square footage of 256,000. A fresh and modern palette allows for a consistent interplay between the exterior and interiors, providing a cohesive value-added design solution.